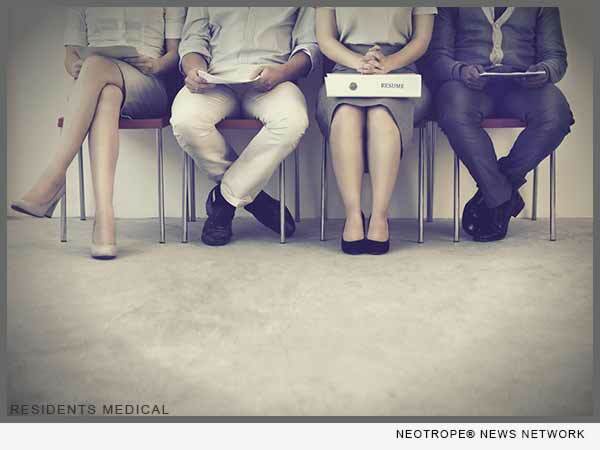 Home CA Education Residents Medical’s Candidates Getting Interviews and Pre-Match Residency slots Oct. – Dec.
LOS ANGELES, Calif. /California Newswire/ — America’s Medical Residency applicants are deep into the residency application season. In September, the application period opened for medical students and graduates that want to be licensed physicians and surgeons via the only path in America – Completing medical residency training, says Residents Medical. Residents Medical’s candidates are being prepared for residency by taking their USMLE Board tests, being tutored by its arsenal of renowned teachers, clinical externship, unaccredited residency positions, research and a plethora of proprietary programs. This year nearly all Resident Medical’s interview-ready candidates are being invited to multiple interviews for residency positions at esteemed residency training programs. They are being prepared for these interviews by current Associate Deans, current and/or former Program Directors, and speech pathology experts. Residents Medical, through its affiliation with The Everest Foundation, is opening opportunities for its vetted and hardworking candidates. Since October, two of Residents Medical’s candidates got offered a pre-match residency position, one of them being a highly sought after categorical position. “For the remainder of and through the end of December, Residents Medical’s candidates will be interviewing for pre-match positions which historically have parlayed into residency slots,” says Agata Everest, CEO of Residents Medical. Many of its candidates will be achieving residency through the main “Match” in March, 2017, and after that the remaining candidates will be given opportunities “post-match” to interview and obtain residency positions. In fact, this past August Residents Medical’s candidates were still being offered residency positions from last year’s application season before this year has opened up. Residents Medical is helping U.S. medical Graduates (IMGs), foreign medical graduates (FMGs), students and graduates throughout the world achieve their dreams of career and altruistic goals of helping humanity by being a licensed doctor. The bridge of Residency gets one there, Residents Medical is an expert at that. Residents Medical’s main focus is clinical research and an expansion of Graduate Medical Education opportunities. Today, through a network of residency programs affiliated with top U.S. Medical Schools and Residents Medical’s collaboration with The Everest Foundation, they are able to provide exclusive and premier services for medical students and graduates from all continents to prepare for residency. Whether you are a U.S. graduate, IMG or FMG, Residents Medical will evaluate your credentials and develop a unique path to residency that’s right for you. For more information, or to live chat with a counselor, visit: http://residentsmedical.com/ or call 310-444-9700; or make an appointment for an office visit.